Ah, beach weather is finally making its way back around. That means it’s time to stuff your beach bag with the essentials: sunscreen, sunnies and a good book! From political books to anticipated sequels, there are a ton of enjoyable ones to pick up this month. Get ready to dig your toes in the sand and flip the pages of any of these picks. Kicking off June is a brand-new thriller by former President Bill Clinton with James Patterson. It’s the first one out of the chute in this busy month! Current events fans and news junkies will love the new bio about James Mattis by Jim Proser, and a new book about presidents and their veeps by Kate Anderson Brower. Also, read a book by Alfredo Corchado about Mexican immigration titled Homelands: Four Friends, Two Countries, and the Fate of the Great Mexican-American Migration. There’s also another new book about politics in the age of Obama, Trump and Twitter—it’s by Dan Pfeiffer. Fredrick Backman fans will be happy to see a sequel to his Beartown in June. 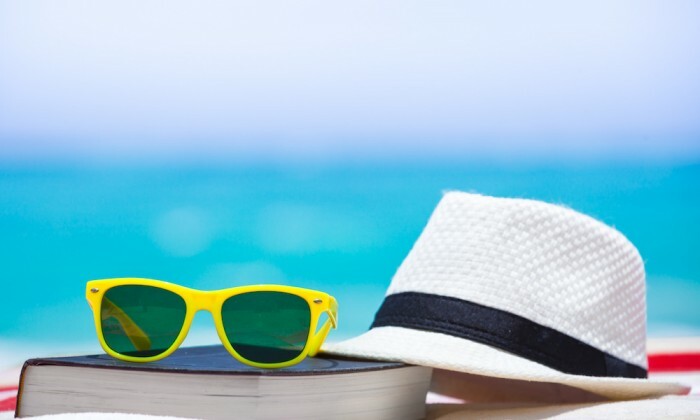 Other fan favorites with summer reads due this month are Dale Brown, Alex Perry, Lauren Weisberger, Sandra Dallas, Douglas Preston and Lincoln Child, Terry Brooks, Susan Wiggs and George R. R. Martin. In June, you can also be the best YOU possible. Think new self-help books, cookbooks (The Whole Smiths Good Food Cookbook by Michelle Smith), puzzle books and great new diet books (Formerly Known As Food: How the Industrial Food System Is Changing Our Minds, Bodies, and Culture by Kristin Lawless), too.